Theta-Zeta has a rich history of excellence over the decades. 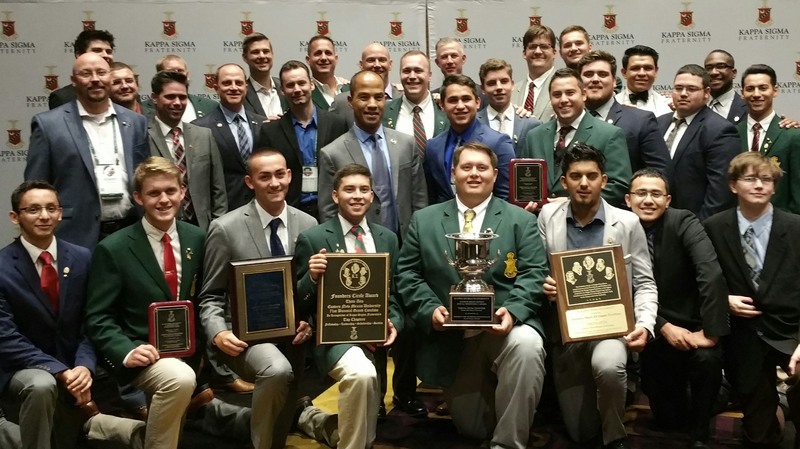 The Kappa Sigma Founders’ Circle Award is the highest award given to Kappa Sigma Chapters. The Founders’ Circle Award recognizes the Fraternity’s “best of the best” at the undergraduate Chapter level. Founders’ Circle designees succeed in all areas of Fellowship, Leadership, Scholarship, and Service and set a shining example to which all Chapters should aspire. Chapters that meet all award target benchmarks will be entered into the Founders’ Circle. The Founders’ Award of Chapter Excellence (“FACE”) is the benchmark award in Kappa Sigma. The FACE award recognizes outstanding Chapter management, achievement, and program development in all areas of operation. Realizing differences between Chapters and campuses, each Chapter will be judged in relation to overall Kappa Sigma target goals, rather than being compared, one-on-one, to other Chapters. All Chapters meeting the specified minimum criteria, and achieving a total FACE application score of 135 points or higher (out of 160 total possible points), will be presented with a Founders’ Award of Chapter Excellence. The George Miles Arnold Cup is presented each year to the Chapter that demonstrates the highest level of commitment to Ritual education, throughout its entire membership. Inasmuch as Certificates of Ritual Proficiency are designed to promote uniformity in the performance of the Ritual, this Award is intended to encourage all Chapters to have as many Brothers participating in the Ritual program as possible, and earning as many certificates as possible. Awarded to chapter that pledges the most men in an academic year.